You must make reservations at least 5 minutes in advance of the time at Boi Na Braza - Cincinnati. 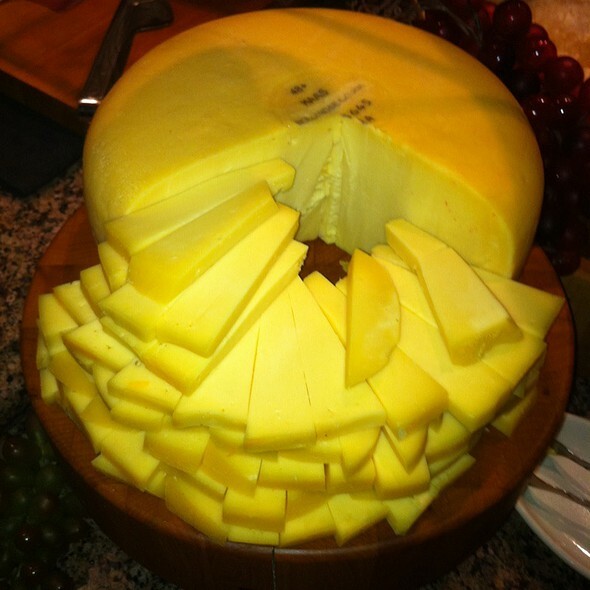 The Dining Tradition from the Pampas of Southern Brazil. 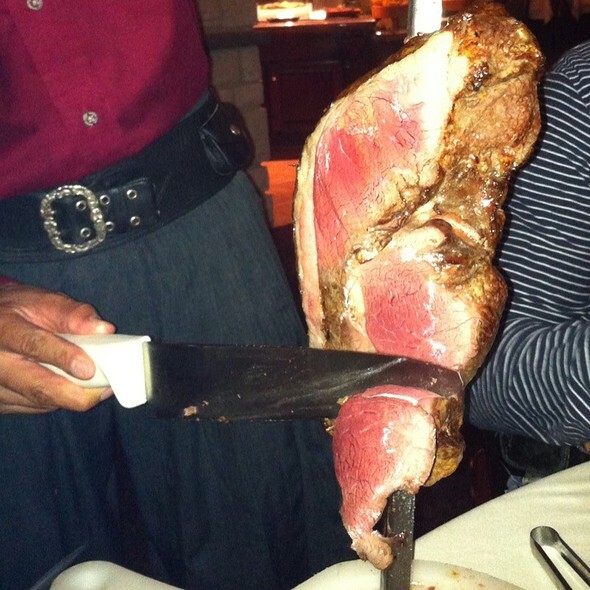 Boi Na Braza Brazilian Steak House, located downtown in the Carew Tower, offers an extraordinary Brazilian dining experience, with 15 selections of beef, pork, lamb and poultry cooked over an open fire and served table side by Brazilian Gauchos. 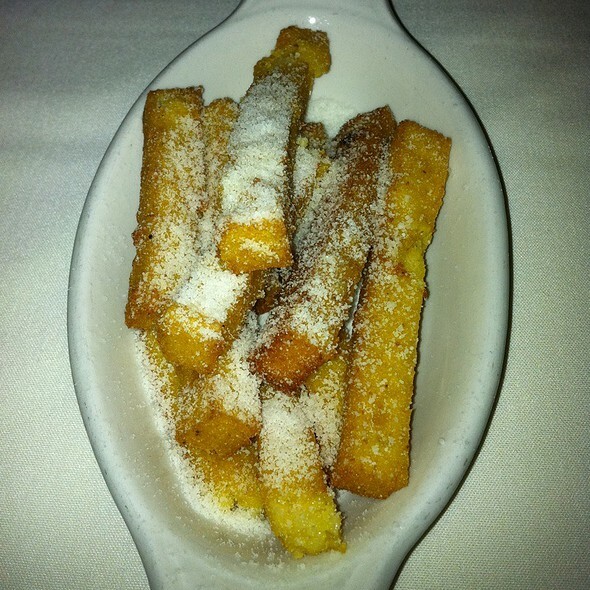 You'll also enjoy appetizers, a fabulous salad bar, wonderful desserts and an extensive list of wines and champagnes. Set price menu. Full bar. Private room and semi-private areas available. Open for brunch and dinner. Reservations recommended. 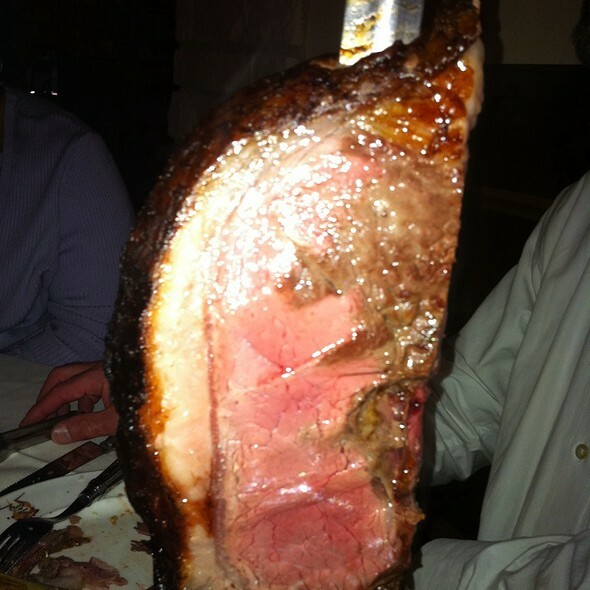 picanha, our house specialty, is the most popular cut from the south of brazil. this tender, juicy top sirloin cut is remarkably flavorful and prepared and served by boi na braza gaucho chefs. 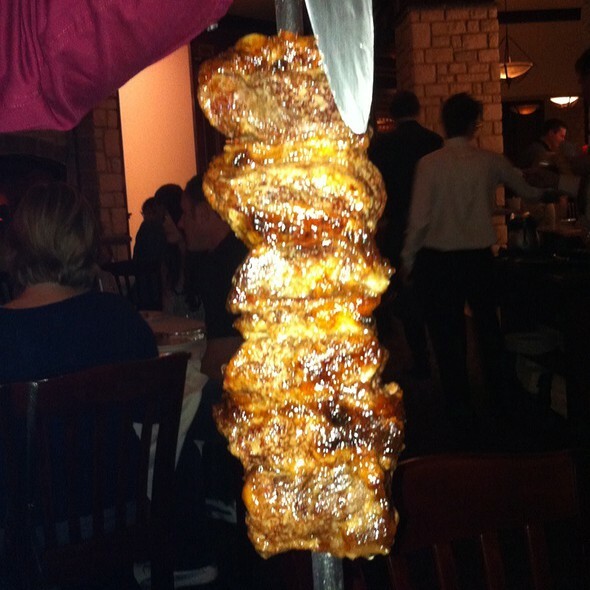 for garlic lovers, picanha com alho is our garlic-seasoned version of our house specialty, picanha. mouthwatering and fresh, young leg of lamb or succulent lamb chops are prepared and served by boi na braza gaucho chefs. tender slow-roasted pork ribs, specially prepared, seasoned, and served by boi na braza gaucho chefs. a flavorful cut from the whole top sirloin; another popular choice from the south of brazil, prepared and served by boi na braza gaucho chefs. slow roasted pork loin filets encrusted in rich parmesan cheese and sizzling with flavor are prepared and served by boi na braza gaucho chefs. succulent boi na braza special recipe pork sausage. a distinctive cut of bottom sirloin with a remarkable texture and a juicy robust flavor, prepared and served tableside by boi na braza gaucho chefs. filet mignon, famous for being the tenderest of cuts, is grilled to a moist, juicy perfection, then sliced and served tableside by boi na braza gaucho chefs. or if you prefer, try our tenderloin filet tips wrapped in bacon and sealed with flavor and juiciness. frango in portuguese means chicken. boi na braza gaucho chefs prepare and serve your choice of a lean, specially marinated chicken breast wrapped in bacon, or a juicy, plump chicken leg, both cooked over an open fire and roasted to perfection. boi na braza gaucho chefs prepare and serve these meaty, seasoned beef ribs, slow-roasted to melt-in-your-mouth tenderness. beef ancho is cut from the prime part of the rib eye. the beautiful marbling on the rib eye provides its superb flavor, juiciness and texture, making this one of the most popular steaks at boi na braza. our sumptuous salad bar is like no other! experience an assortment of salads that are served fresh every day. choose from a seemingly unlimited variety of vegetables and salad toppings. from gourmet shitake mushrooms and mashed potatoes to brazilian style rice and bean, we serve a variety of hot plates made fresh daily. 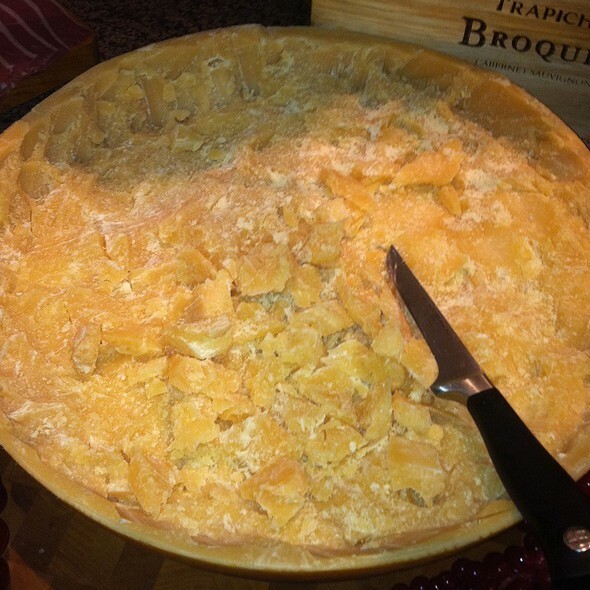 you have to see our artisan cheese selection to believe it only the finest cheeses from around the world. new york cheesecake and a thick layer of chocolate fudge on a graham cracker crust. topped with golden caramel and pecan pieces. silky chocolate mousse between two layers of rich chocolate cake, topped with rich white chocolate. rich vanilla custard topped with a layer of caramelized brown sugar, served cold. our own blend of fresh papaya fruit with vanilla ice cream, served with creme de cassis. our own blend of fresh strawberry fruit with vanilla ice cream, served with creme de cassis. key lime custard on graham cracker and butter crust. our own recipe of the condensed milk flan. 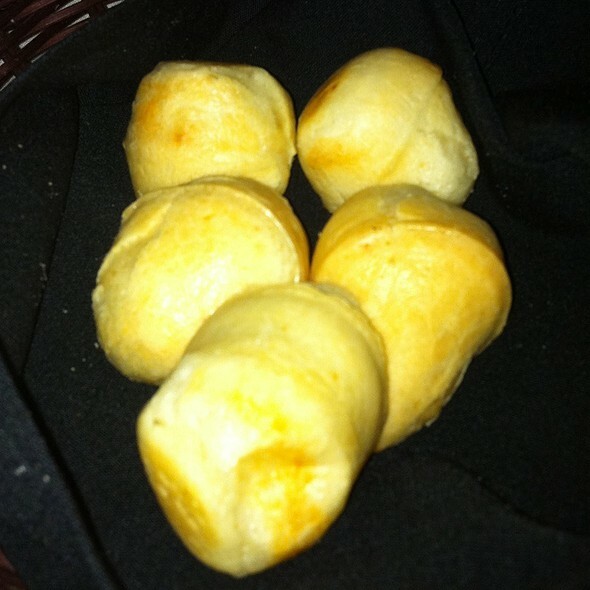 creamy dip with tender pieces of filet mignon and mushrooms, melted parmesan cheese. served with toast. delicately smoked salmon served with gourmet oven baked toast. a boi na braza specialty, oven-baked bread with fine cheese melted to perfection inside. 5 jumbo shrimp serve with our home made cocktail sauce. lightly breaded and fried complemented by a creamy ranch and a mild tartar sauce. sliced pork sausage and cheese bread served with lime and lemon. 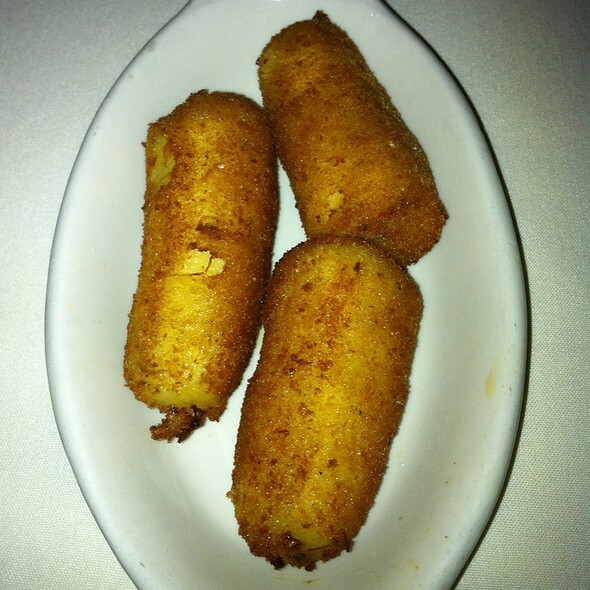 choose an appetizer portion from any of our select meats. Been there a few times, Always good food. Good service, just be sure your hungry. First timer... I loved it. The waiter was very nice and the food was great. I really hope they open another location soon. Their staff is always amazing...courteous, prompt and accommodating. Food was great except the beef was a little under cooked for me. Flavor was wonderful and I love their salad bar as well! Great food and service.To bad there closing due to the landlord forcing them out in place of a bank! I hope you return with s new location. Sad to see it leave the Downtown location without a planned new location. Come hungry!! And it’s a very classy yet casual atmosphere. I had been to the restaurant once before for a company party but this was my first time there with my boyfriend. We had an excellent time, loved the environment, the staff was quick and accommodating, and the food was delicious! It was my boyfriend’s first time there and he was certainly not disappointed. I look forward to going there again after the move! I am saddened by the closure of this location but look forward to dining at the new Cincinnati spot, wherever that may be. Hopefully it won't take too long to have it up & running. We had reservations and were immediately seated when we arrived. The place was well-decorated and the servers were very attentive. I requested that the servers keep bringing the delicious and tender lamb chops; the chops kept coming often even without me having to ask! This is a great place for a romantic evening! Too bad that they will be moving into a new location soon. This location will close at the end of March 2019. Amazing place that I always take my wife to for our anniversary. Great food with just as great service. We had a great time and the food was very good. My family all enjoyed themselves and even got to try some items they hadn't had before. We have been here several times. This last visit was very lack luster. We both agreed that the meat was not as good nor seasoned as well as it usually is. The hot items on the salad bar were luke warm. When we were standing up gathering our coats to leave, I couldn't even get my coat on all the way before a worker was standing right next to me waiting impatiently for me to move so he could clear the table. Other than that, service was good as usual. So sad to see Boi Na Braza closing but can’t wait to see where they reopen. Such a great restaurant concept with great food choices! Hands down the best Cincinnati has to offer. It's a shame you are closing. My husband and I went here on our 2nd wedding anniversary, and we have been coming back at least 4 time a year ever since. We have never had bad service, nor was our food ever not perfection. Boi Na Braza, you are the gold standard my friend, please don't wait too long before opening your doors again; I don't know how long I can go without GARLIC BEEF! I have been to Boi Na Braza two or three times now, and I am pleased with it every time! As much meat as you could possibly eat, and served right to your table too! I am a little upset that they are closing but look forward to visiting their new location when it opens. The best time every time! So sad to see them leave. It was my first time, and I thoroughly enjoyed the experience. It was a lot of fun trying all the different meats, and I liked almost everything except the sausage, garlic steak, and lamb. 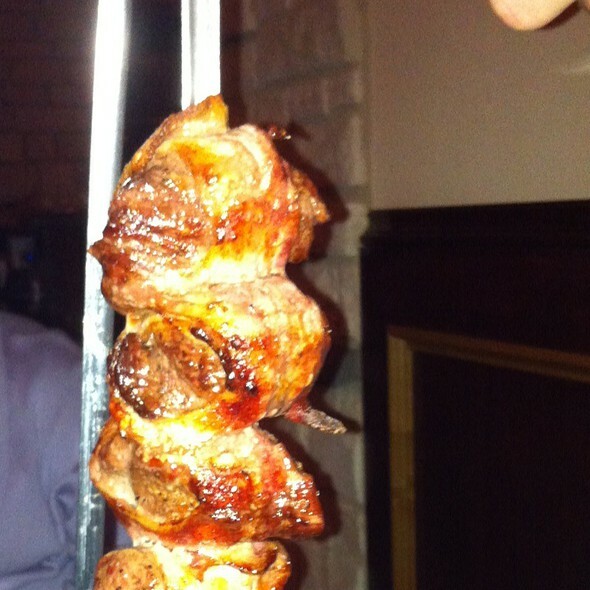 The filet, sirloin, and chicken were superb and so tender they could be cut with a fork. You get great food for the price! We got the dinner special-$38.50 for the buffet and endless meat. I wouldn’t eat salad, etc. use your stomach on the meat! Also, they act as though cans of drink are 1 Price and free refills because they don’t have fountain, they aren’t. You pay around $2 a can. They also act as though desert is included-it’s not. A slice of cheesecake is $8 etc. I is always a very good experience having dinner at Boi Na Braza, hopping for news about the new location soon. Having been to several different churrascarias many times in Brazil, I find Boi Na Braza to be quite authentic! Sorry to see this location closing, but anxious to experience their new location when it opens! Girlfriend and I absolutely love this dining experience. It's too bad they're closing their doors at the end of March 2019. Host said they will be reopening hopefully in the Cincinnati area no idea when. Amazing service, as always! A very enjoyable evening. We had a good time and the staff were all very nice. I was disappointed when I got my bill though. Wine was supposed to be 50% off per their Facebook page and it wasn't. Food and service were great definitely worth checking out. The place was nice for my last visit.. Hope they really open another location soon. I'll miss them. Great prices and wine. I enjoy this place. Meats are delicious and the salad bar is outstanding. I am so sad they're closing. Love this place! I would go back the first chance I get. My favorite restaurant in Cincinnati! Excellent service and fun atmosphere with a romantic ambiance. The diverse selection of foods at the salad bar - veggies, pastas, charcuterie, salads, dinner sides and more - and perfectly cooked, high-quality meats are a combination for perfection. The desserts are rich and delicious, although I always have to get it to go. I'm disappointed they are relocating from Downtown Cincy, but I will certainly continue to visit wherever Boi Na Braza ends up next. I love this place! Service and attention to details was average at best. Too many people standing and watching. Our favorite steakhouse in Cincinnati. It truly is an amazing experience and worth the premium price. The meats taste amazing and the service is exceptional! Amazing. A Cincinnati staple. I’m very sad that it’s moving out of downtown as it’s one of the best restaurants in town.